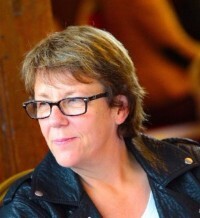 Sue Nelson is the Founder of TLA's FoodTech group. She is the Owner and Presenter of The FoodTalk Show and TechTalk Show as well as being the CEO and Founder of The Breakthrough Group and author of FoodTalk UK. She has appeared on nearly every national radio programme in the UK from Radio 1’s Newsbeat to the Today programme and from Jeremy Vine to Radio 4’s The Food Programme and Farming Today. She was formerly CEO of NW Fine Foods and has been a regular guest on television programmes as diverse as Trisha and The Culture Show. She is obsessed by great food and its provenance and has been a food writer for Cheshire Life and Women in Business Magazine. She is also author of the NW Fine Food Guide with Simon Rimmer of Channel 4’s Sunday Brunch and Tricks of the Restaurant Trade. Sue would love to hear from anyone who wants to join the TLA FoodTech Group - see below. We are a virtual group with our aims for 2018 shown here.